These are delicious, if I do say so myself. I’ve seen several recipes for oven pancakes lately and being the perfect solution to pancakes for a crowd, I had to give them a shot. Pancakes, however, can be boring. These are not. Subtly flavored and extremely moist, these are almost a mix between a pancake and…well, something else I can’t quite put my finger on. Make them, then tell me what it is! I ended up with more batter than I had ramekins for, so I loaded up the ramekins and hoped they would still turn out kind of pancake-y. They definitely weren’t as thin as a pancake, but I preferred this in the end. The batter is so flavorful, I loved that there was extra. This is my new go-to breakfast or brunch menu item! Easy and delicious. 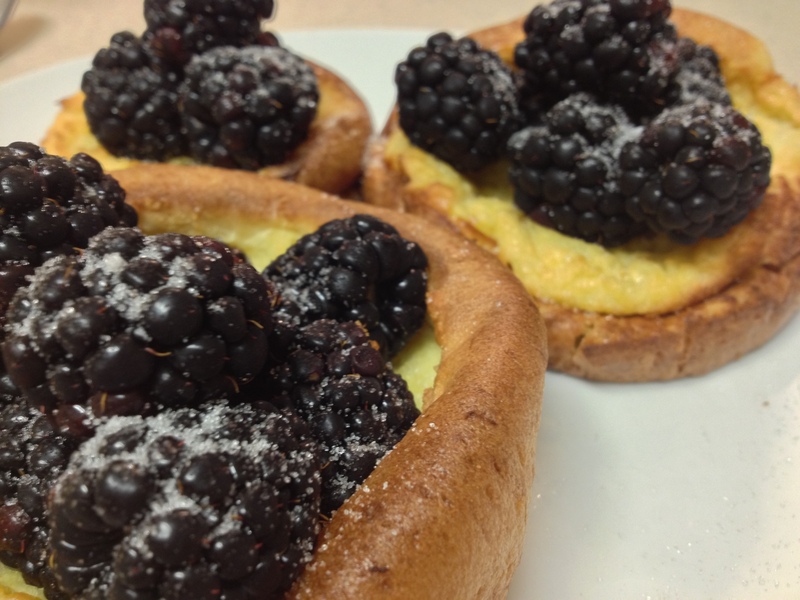 Place ramekins on a sheet pan. Place about a teaspoon of butter in each, set aside. Whisk the eggs until mixed. Add the milk and whisk to combine. Add the vanilla, salt, cheese, apple and sugar. Once this is mixed, gently whisk in the flour and stir gently until there are few or no lumps. 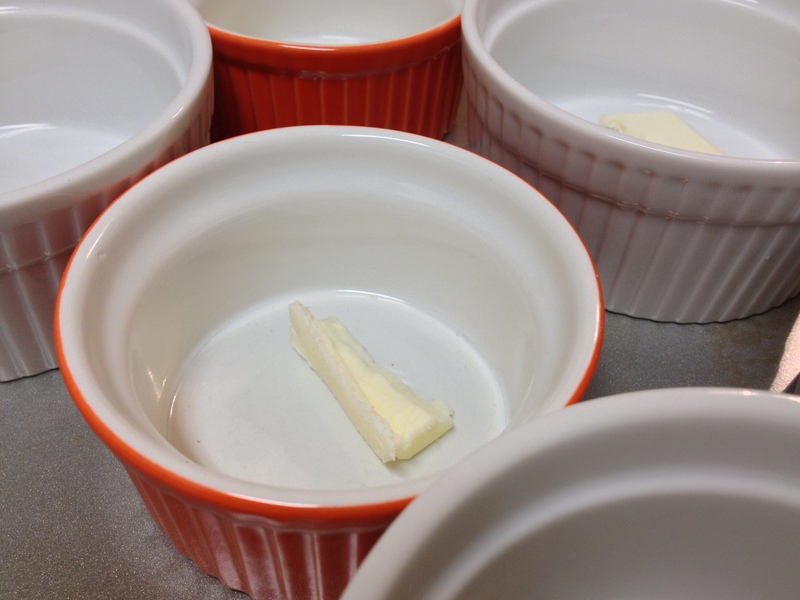 Place the ramekins in the oven for a few minutes, or until the butter is melted. It should cover the bottom of the dish. Remove from oven and distribute the batter between the ramekins. Bake for 15-20 minutes or until the batter has puffed up around the edges and turned golden brown. The center will still look soft. Add the berries and dust with sugar. Serve warm to happy guests!